You are here: Home / How to / How to Install Oblivion Streams Kodi AddOn? In IPTV, there are free Addons which you can use anytime at any place. The Oblivion Streams add-on is also available within the Sanctuary add-on. F4M tester is neccessasry for this addon so make sure it is already installed. For more information such as Oblivion streams Kodi not working, info, updates, supports and other relevant queries you can read further. KODI is an open source media application, which is developed by XBMC foundation. It is available for a variety of devices running on windows, Mac, iOS, and many others. It is mainly designed for streaming purposes. 1 How to Get Oblivion Kodi AddOn? 1.1 What is Oblivion for Kodi? 1.2 How to Install Oblivion Streams on Kodi? How to Get Oblivion Kodi AddOn? Oblivion Kodi addon from the application itself without any cost or even efforts. You have to enter the URL into he text field i.e. http://Oblivionbuildz.com/repo and click on OK button. In the next box down, name it Oblivion and click OK. Ensure that everything you entered is correct and then press Ok again. 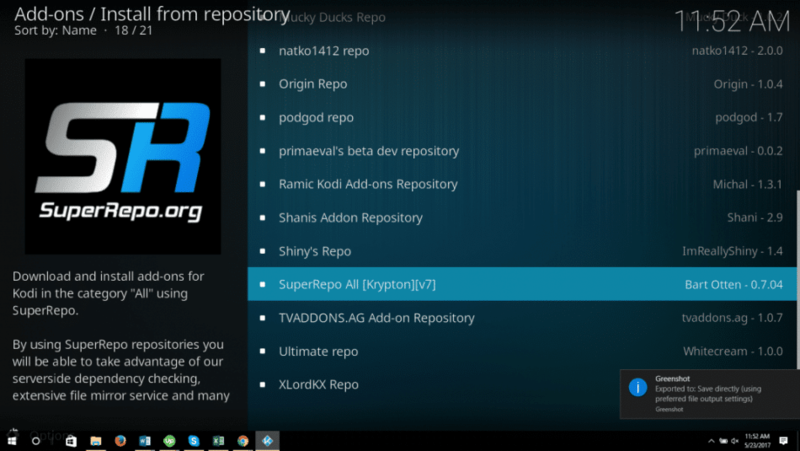 Now click on the repository.Oblivion1-1.zip to install add-on. Wait for the successfully installed popup stream hub. After the popup showed click on the install from repository. Then Oblivion Add-on Repository, once the above process completed, click on video add-ons.Now select Oblivion stream from the given options. Finally click on install. What is Oblivion for Kodi? If you are a fan of IPTV, then we highly recommend this. Oblivion streams Kodi is a new and best IPTV Addon that allows you watch more than 400 premium channels. Once you will install Oblivion Addon on Kodi you can watch tons of channels from all over the world especially from UK and US. 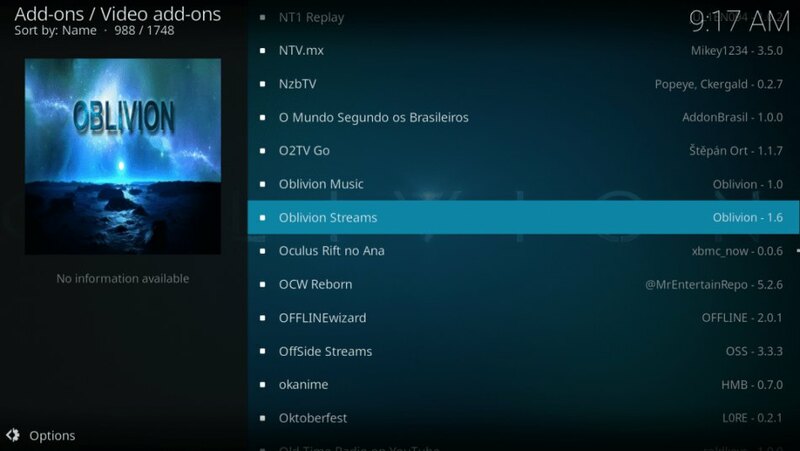 How to Install Oblivion Streams on Kodi? Step 1: FIrst of all you have to download their software from their official website. you can download this application without paying any single penny. Step 2: once the download completed, click on the Kodi installer and click on accept to grant following permission. Step 4: Now click on system icon which is appearing in the top left corner. Step 5: After clicking on system icon, you will see a widow with various options and you just need to click on File Manager. Step 6: after clicking on file manager, click on ADD source which is last option under file manager. Step 8: Now type the URL in text field i.e. http://Oblivionbuildz.com/repo and click on OK button to Oblivion Kodi install. Step 10: Ensure that everything is correct you have entered and then click on OK button. Step 11: Switch back to the main menu and select Oblivion Kodi addon. Step 12: On the left side of the screen, you will see various options from where you have to click on the package installer icon. Step 14: After installing the zip file, a box will slide open find Oblivion Kodi and click it. Step 16: Wait for the successfully installed popup stream hub. 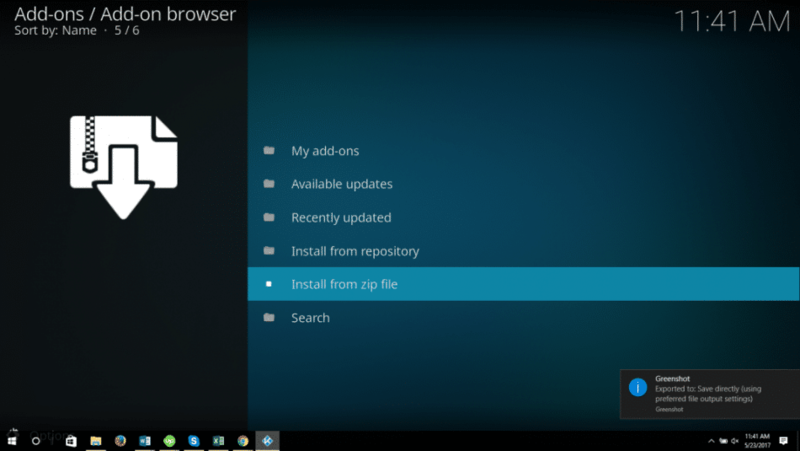 Step 17: After the popup shows up, click on the install from repository. Step 18: Then you can easily install Oblivion Kodi 2018 addon. Step 19: once the above process completes, click on video add-ons. Step 20: Now select Oblivion stream from the given options. Step 21: Finally click on install. After the process is finished, it will be located from the Video add-on section of Kodi. KODI is an open source media player software application, mainly designed for various devices such as MAC, Windows, Android, iOS, and many other operating system. If you have question in mind how to Get Oblivion Kodi AddOn, then your search is now over. in this article, we will give the best solutions these questions and other relevant questions to KODI. Solutions provided by us do not require any special computer skills. Any Layman can easily perform this on their device. 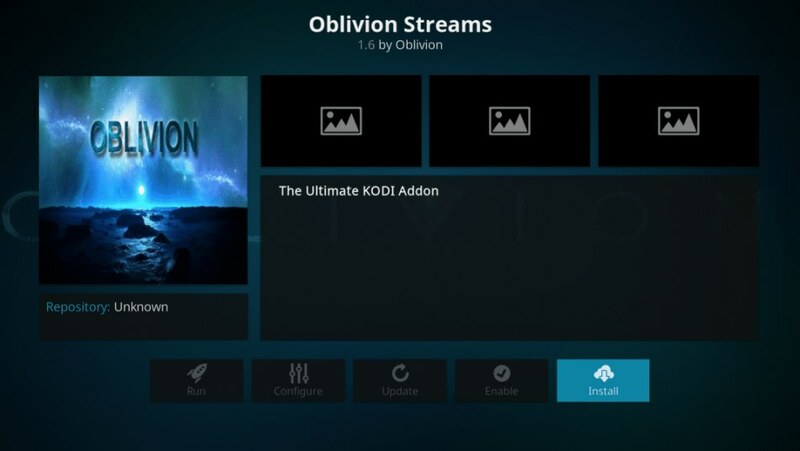 Oblivion streams Kodi is a new and best IPTV Addon that allows you watch more than 400 premium channels. Once you will install Oblivion Addon on Kodi you can watch tons of channels from all over the world especially from UK and US.